After two decades as a band, The Dillinger Escape Plan will play their final show on Friday, December 29 at Terminal 5 in New York, NY. Opening the event will be Code Orange and Daughters. 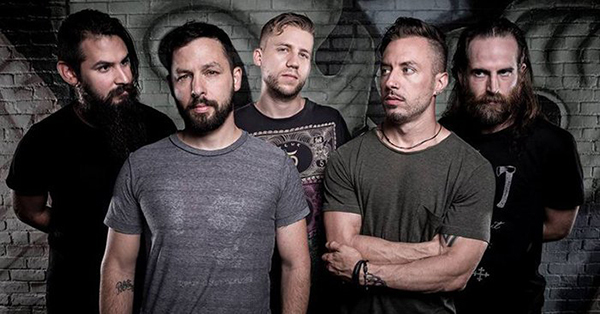 Speaking on its location, frontman Greg Puciato had this to say: "For me, in terms of shows, New York has always been one city on a short list of them, where every Dillinger show felt like a homecoming. Maybe it's the proximity to New Jersey, maybe because we're all East Coast natives, maybe for me it's largely because it was the location of my first show with the band back in 2001, and maybe a lot of it is just the overall energy of the city itself. So many incredible shows, unforgettable memories on and offstage, and familiar faces both backstage and in the crowd. Add to that the fact that geographically its the one city that makes the most sense for anyone traveling from the east or west, or up the coast, and this was kind of a no-brainer from the beginning."